I facilitate workshops, for individuals or organizations, introducing them to these principles, tools etc. via solo, paired or group exercises, activities and games. Participants of workshops are able to integrate these principles; skills etc. into their daily lives. 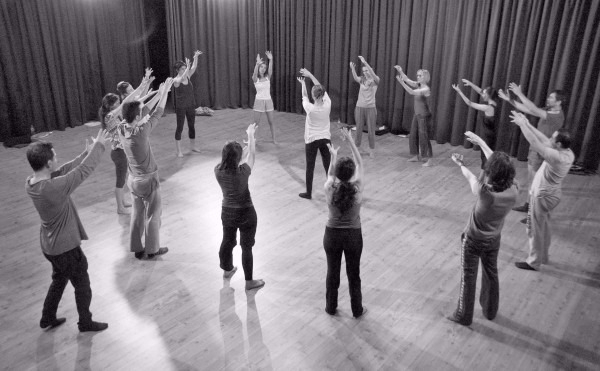 Personal development, team building, creativity, innovation and wellbeing are some of their areas that benefit from learning theatrical improvisation methods. Improvisation exemplifies that creativity happens collaboratively by using the principle of short turn-taking between individuals in a group. In a positive atmosphere everyone is encouraged to contribute. Vulnerability, fear, suspicion and anxiety are replaced with focus, creativity and sense of collaboration. This approach allows individuals, groups and organizations to release their creative potential and overtime increase their confidence. · Spontaneity, How to be in the moment. · The power of saying Yes. Accepting ideas. · Public speaking and storytelling. Many exercises, activities and games used in improvisation are designed to encourage risk taking, playfulness and to be in the moment. In a safe space, everyone is encouraged to contribute or if they choose they can watch as an audience. The parameters of the workshop can be adjusted to meet your needs and is a maximum of 3 hours with an (optional) break. Many exercises and games used in improvisation are designed to encourage risk taking, playfulness and to be in the moment. Consequently participants will find that they are having fun whilst also developing, learning or challenging their existing mind-sets. Various workshops are available, ranging from introductory to challenging and advanced. Many workshops can be customized to fit your groups needs. There are no limitations on what can be covered. Perfect for organizations looking to improve on communication and creative thinking. Great for actors, new and old improvisers, or anyone who performs in any way. Prices range depending on group sizes. Learn the basics. Get the skills, tools and methodology needed to feel comfortable with not knowing. Great for non-performers, new actors, kids and adults. Lean to think as you go. Storytelling, characters and building upon ideas. Learn how limitations breed creativity. Find your creativity in games. 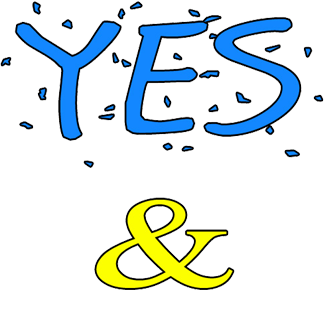 Got "Yes And" down? Learn to break all the rules with more technical and philosophical concepts about improv. This can be applied to short or long form. Bring your performance to the next level. Gain confidence to present and speak publicly. Get your ideas across to your audience. Learn to be comfortable on stage, how react to the unexpected and to relax.